Dan Bender is an experienced litigator and, since 2007, has been a litigation consultant assisting trial teams from across the country developing strategies for and creating their demonstratives. He has been a Senior Consultant and Manager at Digital Evidence Group since 2010. Prior publications by Dan include: Winning or Losing Your Case in the Blink of an Eye: An Exploration the Intersection of Malcolm Gladwell’s “Blink” and Litigation, Law360 (Nov. 18, 2013), Happy Holidays from the ITC, The Am. Law Daily (Feb. 25, 2013), My Odyssey: From Litigator to Litigation Consultant, American Bar Association (Mar. 5, 2013), The Art of Advocacy Design, American Bar Association (Feb. 9, 2011), Demonstratives on Direct, Practicing Law Institute (Dec. 2009), Alternative Dispute Resolution Manual: Implementing Commercial Mediation, IFC/World Bank Group (Nov. 2006), Limiting the Options, Legal Times (June 3, 2002), New International Commercial Arbitration Evidence Rules Economize, Appeal to Common and Civil Lawyers, The Metropolitan Corporate Counsel (Oct. 1999), Case Commentary: In re Application to Quash Grand Jury Subpoena Duces Tecum Served on the Museum of Modern Art, N.Y.U. J. of Int’l L. & Pol. (Fall 1998), and An Alternative Approach to Settling Disputes over Stolen Art, N.Y.L.J. (Aug. 12, 1998). 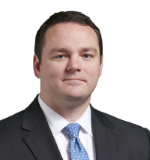 Jason Fowler is a partner at Covington & Burling LLP, practicing in the firm’s Litigation and Intellectual Property Groups. He was formerly an adjunct professor at Howard University School of Law, teaching Patent Practice & Procedure. In addition, he lectured for several years on patent law for the Patent Resources Group. Before private practice Jason was a law clerk at the U.S. Court of Appeals for the Federal Circuit and the U.S. District Court for the Northern District of Georgia. Prior publications include: Not All Demonstratives Are Created Equal: Five Easy Ways To Improve Yours, Law360 Expert Analysis (Mar. 9, 2018); Federal Circuit Patent Law, Patent Resources Group (2011-2012); and Lacks v. McKechnie and the Quest for On-Sale Bar Certainty, 38 Ga. L. Rev. 1369 (2004). Pierre Kressmann has decades of experience as a lead litigation graphic designer and trial consultant. He is currently a Senior Designer at Digital Evidence Group. He has worked in both in-house law firm and outside consultant environments, having developed concepts, graphics, and animations for hundreds of domestic and international cases in all areas of law for clients big and small. An accomplished graphic and fine artist, Pierre received his degree in Painting and Illustration from East Carolina University.